How many ways can you prepare zucchini? Even when I don't get zucchini in my CSA basket, I still feel overwhelmed by all the enormous zucchini. I froze a lot, but I'm also trying to find different ways to prepare it. Ratatouille is a classic. 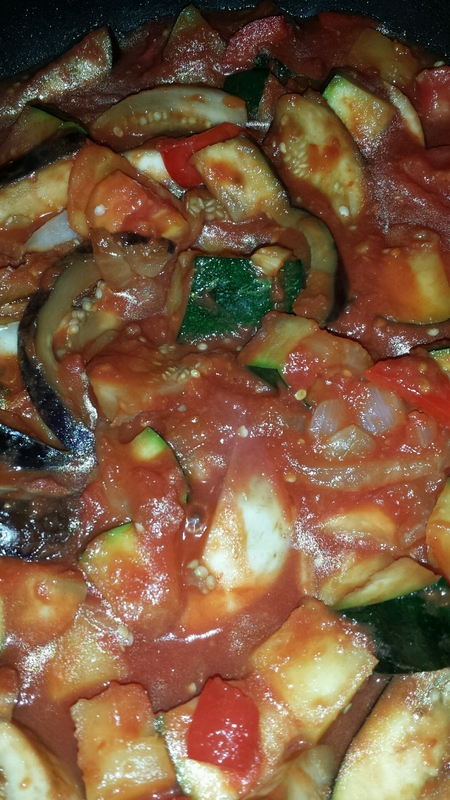 Cooked the zucchini with eggplant, onions, garlic, and tomatoes. Added to pasta sauce, along with more eggplant. I should have cut the zucchini cubes smaller. 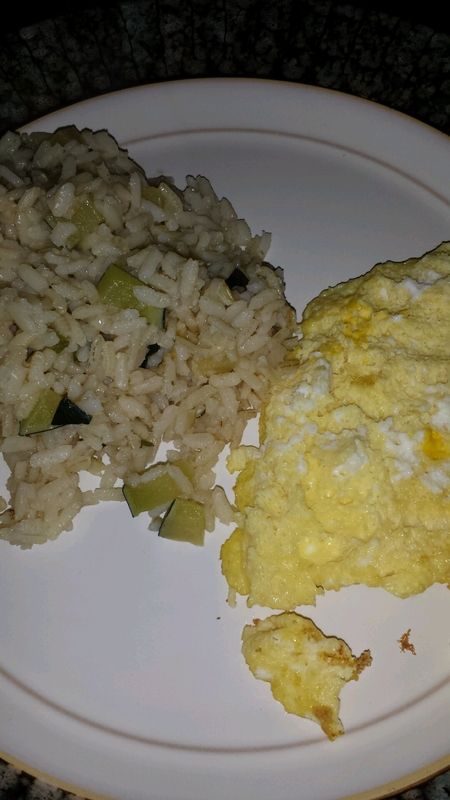 Zucchini rice. 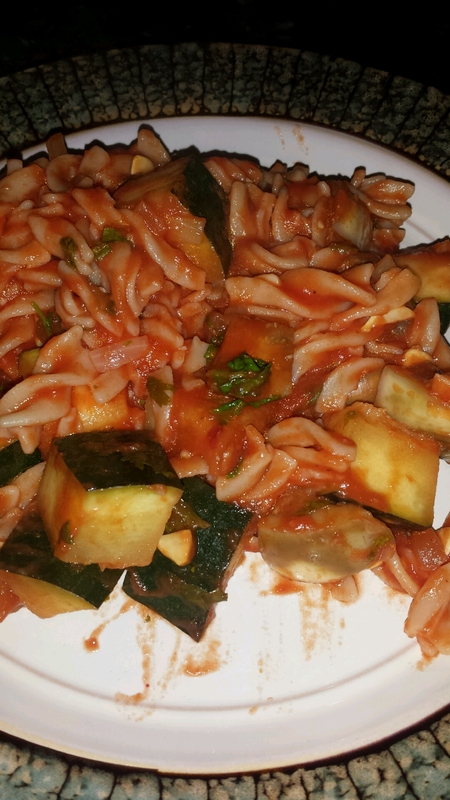 I cubed the zucchini very small and sautéed before adding the rice and water. 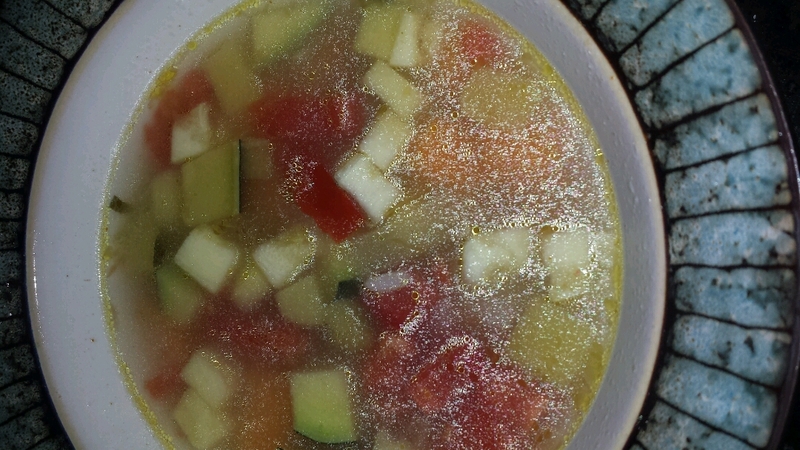 This soup includes both cubes of zucchini and zucchini rice. I made the broth with onions, celery, carrots, and corn cobs. I chopped the veggies and added them back to the soup, along with corn, tomatoes, and the aforementioned zucchini stuff. I've been dying to try zucchini lasagna where you mandolin the zucchini and use it in place of sheet noodles. Thanks for sending this. I still have lots of zucchini!